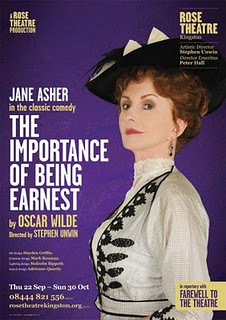 Oscar Wilde’s The Importance of Being Earnest follows the Rose Theatre Kingston’s tried and tested formula of mounting classic plays for their homegrown productions. We’ve had Dame Judi in A Midsummer Night’s Dream, Celia Imrie in Hay Fever and now we have Jane Asher taking on Lady Bracknell and her handbag under Artistic Director Stephen Unwin. Hayden Griffin’s spare design on the wide stage is framed within a proscenium arch of sorts, a giant picture frame containing a few pieces of furniture scattered around, but largely the stage is left free to be dominated by Wilde’s witticisms. And how witty it is. Wilde’s play may not tackle any deep societal issues or serious topics but his clever plotting and incisive humour skewers the English obsession with class and the grasping social ambition of those who have clambered their way up the ladder, keen to keep others in their place. There’s also a touch of feminism in a trio of strong female characters determined to get what they want and fully cognisant of how to get it whilst the men mess around with their false identities and get increasingly flustered. Asher makes quite a cold Lady Bracknell, her icy glares and put-downs are perfect – never has ‘Prism’ sounded so menacing! – but her performance could do with a couple of extra notes in the vocal register to prevent her delivery from becoming too samey. Her imperious bearing dominates the room extremely well though and many of the familiar lines are invested with new life with this interpretation, especially in her grilling of Jack’s credentials to marry her niece. Richard Cordery as the eager Reverend and Ishia Bennison’s hapless Miss Prism connect beautifully in their sideplot to provide an alternate level of humour which enlivens the second third. As the central couplings, Daniel Brocklebank’s lithe Jack is well matched by Kirsty Besterman’s sparky Gwendolen, and whilst Bruce Mackinnon’s rangy Algernon and Jenny Rainsford’s Cicely didn’t quite manage a similar level of chemistry, once Rainsford’s initial stiffness had melted away, they came pretty close. The sparring between all four is well directed by Unwin, Cicely and Gwendolen’s face-off over afternoon tea being particularly delicious and the panic that threatens to take over Jack is amusingly portrayed by Brocklebank. There’s no doubting that this is a solid production of a timeless classic, it may not bring anything wholly new to the table but then it doesn’t need to reinvent the wheel here with the brilliance of Wilde’s writing which seemingly never grows old. The Rose’s production could afford to wind up a little tighter to a more natural conversational pace, mine the humour a little deeper, expose the hypocrisy of Lady Bracknell’s adopted pretensions a little more, just not play it quite so safe in order to make this the must-see show that the venue so desperately needs following their disappointing news from the Arts Council. But nevertheless, it still remains a pleasant watch. 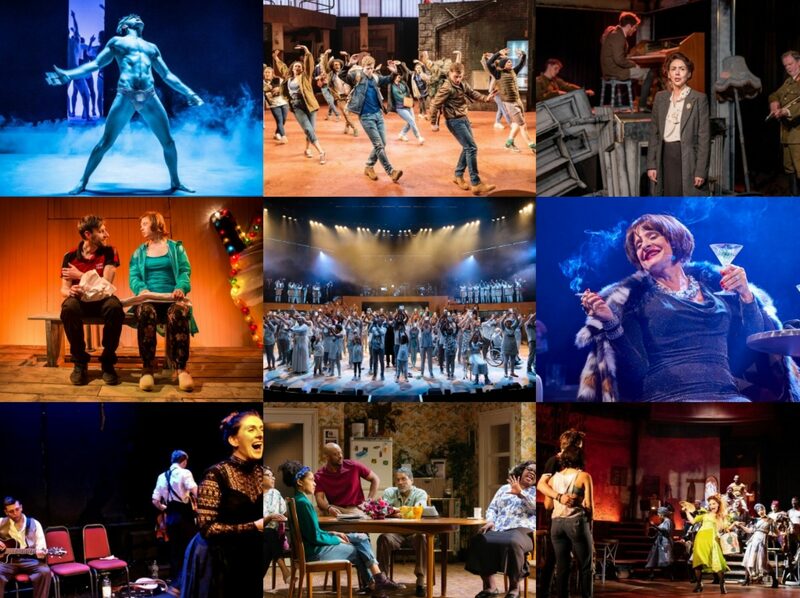 I have seen the Riverside production. It was wonderful. Goping to be hard to ever watch "Earnest" again without the music!